For a dedicated remote helpdesk Brisbane can rely on Less Stress Computer Services. Enjoy computer technical stability with reliable remote Helpdesk support from Less Stress Computer Services. 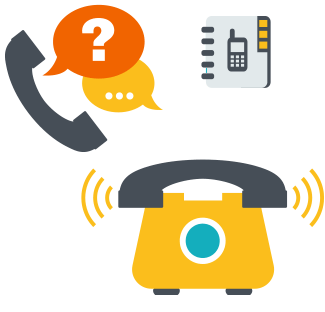 We provide a complete range of professional remote Helpdesk Services to prevent and resolve any IT issues that may occur. Whether your business requires general IT technical support or something more specific, at Less Stress, we take pride in providing effective, efficient and quick solutions to any computer related issues that you may experience. Our Helpdesk support is about turning downtime into uptime and providing you complete solutions for your IT support needs. At Less Stress, we are a highly qualified technical team that is committed to exceeding the expectation of our clients in providing remote helpdesk support for optimum performance of your IT infrastructure. Less Stress helps clients keep their IT platform running smoothly with solutions tailored to your exact business requirements. Our team of skilled professionals bring top quality online solutions to businesses to resolve their IT issues promptly and efficiently. We help enhance the responsiveness and performance of any size business by providing solutions that reduce their cost of operation and their downtime. Less Stress uses experience and the latest technology to enable businesses and companies to grow. Our team of technicians quickly respond when needed. Let Less Stress be on the front foot for all of your IT solutions, so you can focus on the real business matters at hand. Irrespective of how simple or complex your IT issues may be, our technical staff can help. We help our clients meet their business productivity standards with an affordable remote helpdesk support service. The Less Stress team of skilled technicians are ready to provide professional support quickly and can assist you with any IT problems. IT and security issues play critical roles in personal and business computer objectives. It is important to keep your infrastructure running properly to achieve growth in every business. As the marketplace becomes increasingly competitive it’s imperative that all companies have remote Helpdesk services. Remote helpdesk support allows a company or organisation to improve their customer care and avoid downtime. 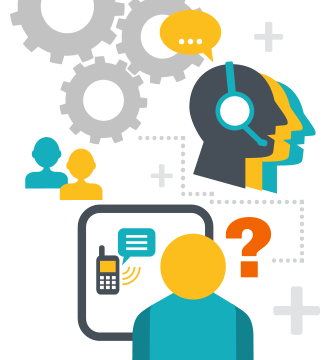 Thinking of outsourcing your Helpdesk support? Talk to us at Less Stress now. Less Stress offers multi-technology support with skilled technicians who work quickly to resolve all types of IT issues. We guarantee a team of experienced technicians that can save your business money. 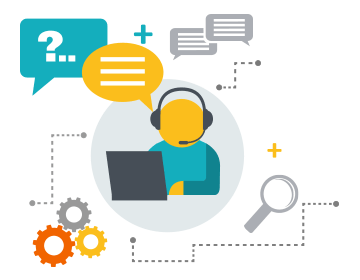 Remote helpdesk support services offered by Less Stress use cutting-edge technology and tools to diagnose the issues and resolve all your IT problems with a timely and efficient result. You can benefit immediately from our Remote Helpdesk solutions – we are available now. Our comprehensive helpdesk support provides the best IT solutions for you. Contact Less Stress Computer Services today to get your own dedicated remote helpdesk.